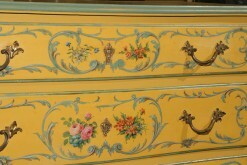 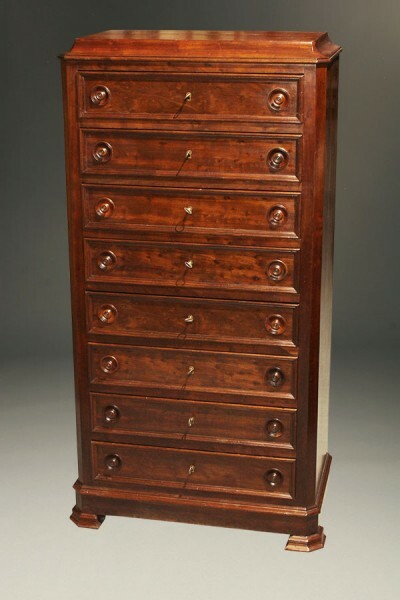 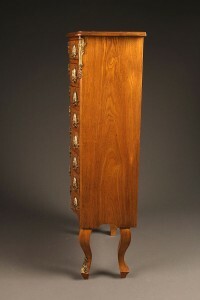 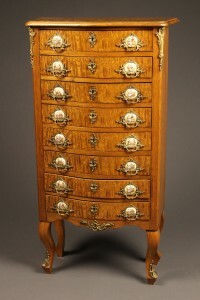 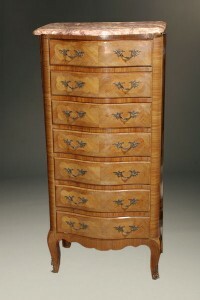 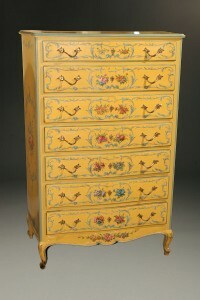 What makes this stunning piece even more distinctive is its eight drawers. 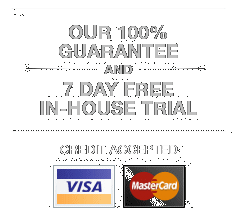 Most lingerie chests have only seven drawers—one for each day of the week. 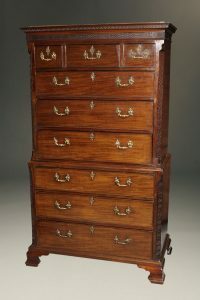 Made from mahogany, the cabinet-maker also included plum pudding mahogany on the top and sides, as well as the drawer faces. 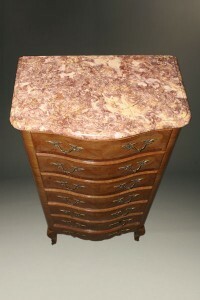 Plum pudding mahogany is similar to burl, and the result is a lovely-figured grain pattern with circular marks. 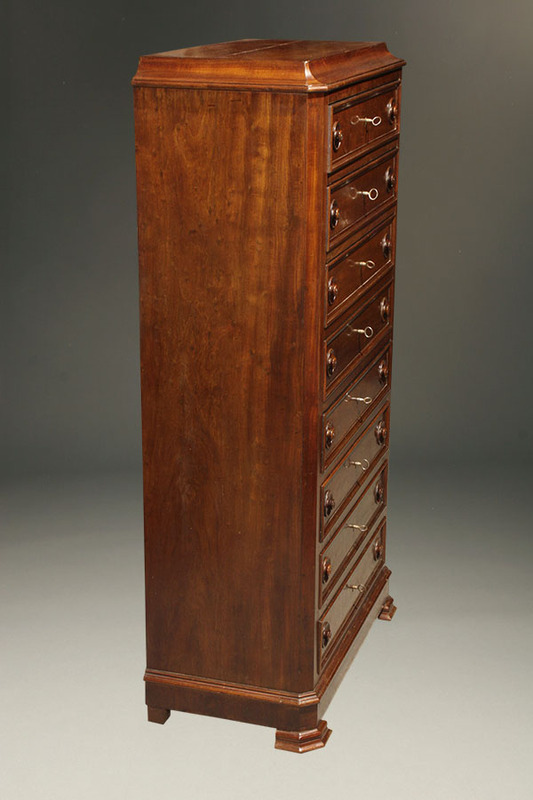 Plum pudding mahogany is a rare find, so it is usually used as a veneer, as is the case with this piece. 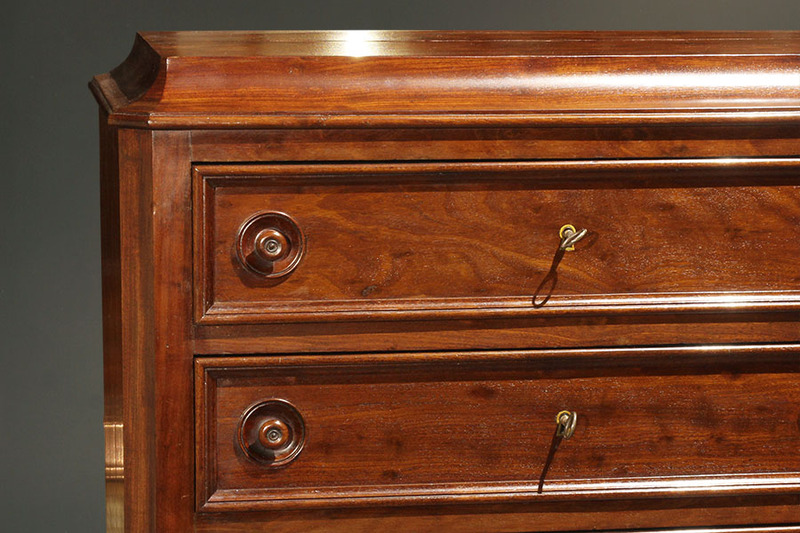 The time-honored quality construction of this piece is notable in the details like solid mahogany trim edges and feet, as well as the recessed turned drawer knobs. 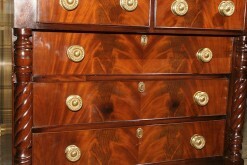 Each drawer has a lock and key with a bronze escutcheon. 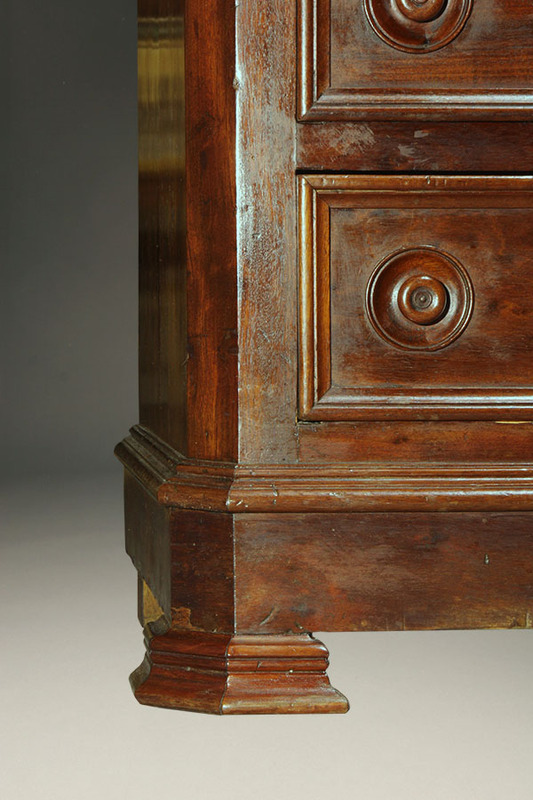 The coved design of the chest’s top is atypical of the Napoleon style, yet adds a lovely architectural element to its construction. 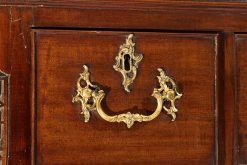 Beyond serving as a special piece in a master bedroom or closet, this antique lingerie chest could find a home in a sitting room or office setting. 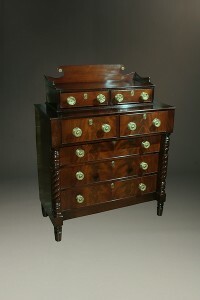 Early 19th century Sheraton period American chest made from Honduras Mahogany.